If you're hoping to be the very best like no one ever was, it's imperative that you have an arsenal of badass Pokémon. Now that we're a few weeks into the game and people are reaching higher and higher levels, the Pokémon you'll be meeting at Gyms are going to be getting tougher. Basically, if you rock up to an enemy Gym with nothing over 1000 CP (combat points — the basic stat for measuring the strength of Pokémon), you're probably going to have a hard time taking it (and even if you do it'll probably be taken back again very quickly). Luckily, some hero on Reddit has used a website called Pokémon Go Toolkit to calculate the minimum CP a Pokémon must be to ensure its final evolutionary form is over 1,000 CP. So basically, if you have a Pikachu that's at least 430 CP, it should evolve into a Raichu that's over 1,000 CP. But how accurate is the list? We tested out the Pokémon Go Toolkit, which Kyurun used as the basis for the calculations, to find out. Here's what the calculator said our 630 CP Drowzee would evolve into. 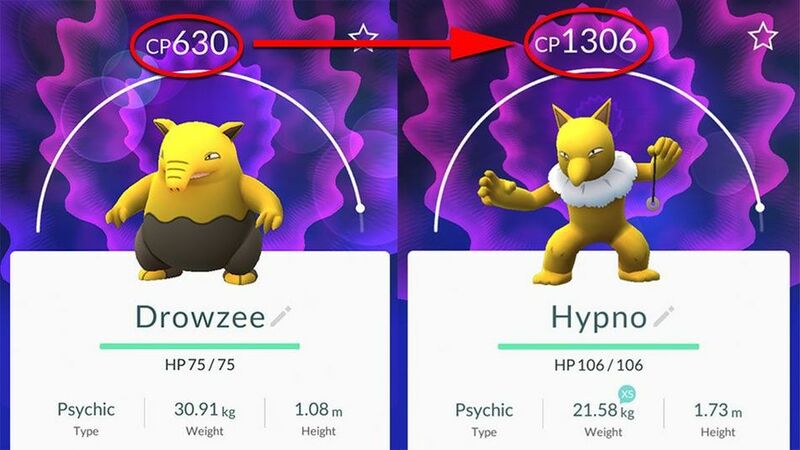 The website predicted Drowzee's evolved form (Hypno) would be between 1310 and 1316 CP. And here's what happened when we evolved him. The final result is close, but it's four CP out of the range predicted. So why is that? As Kyurun notes in their Reddit post, the list is only meant as an indication because "the website might not be 100% accurate." "For more accurate results," writes Kyurun, "refer to an IV calculator". This is where things get a bit complicated. Basically, each Pokémon has its own "individual values" (IVs) which determine how strong it is. So while every Drowzee will have the same "base values," each individual Drowzee will have its own individual values (Attack, Defence, and Stamina, all scored out of 15) on top of that which determine its strength in battle (and, ultimately, how high its CP will be when it evolves). 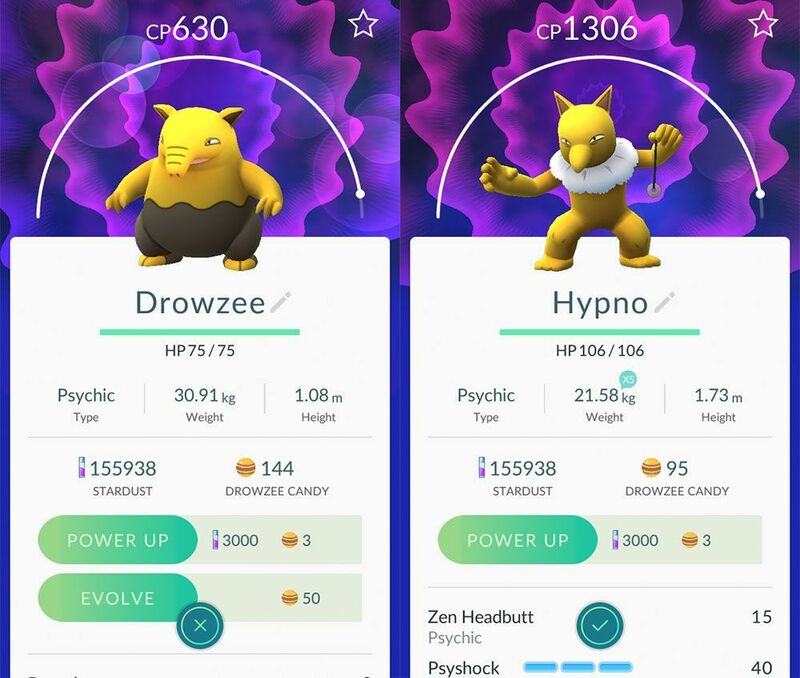 Chances are our Drowzee's IVs weren't the best, which might have been why it evolved into a slightly weaker Hypno than predicted. 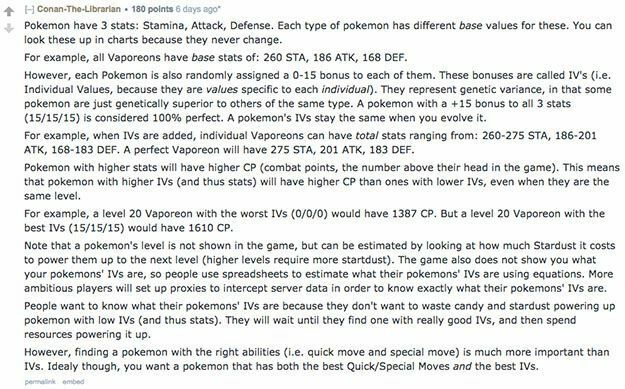 Here's a full explanation of IVs, via Reddit user Conan-The-Librarian . Although a Pokémon's IVs aren't displayed in the game, there are tools to work them out. The website Poké Assistant features an IV calculator, for instance, which allows you to input your Pokémon's CP, HP (Hit Points — which is basically its health), and the Stardust required to power it up so you can find its individual values. The two Drowzees above are a good example of the subtle differences between individual Pokémon. Although the one on the right has a slightly higher CP, for instance, it also has a lower HP and requires more Stardust to power up. When you put both Drowzees through the IV calculator, the one on the left comes out on top. 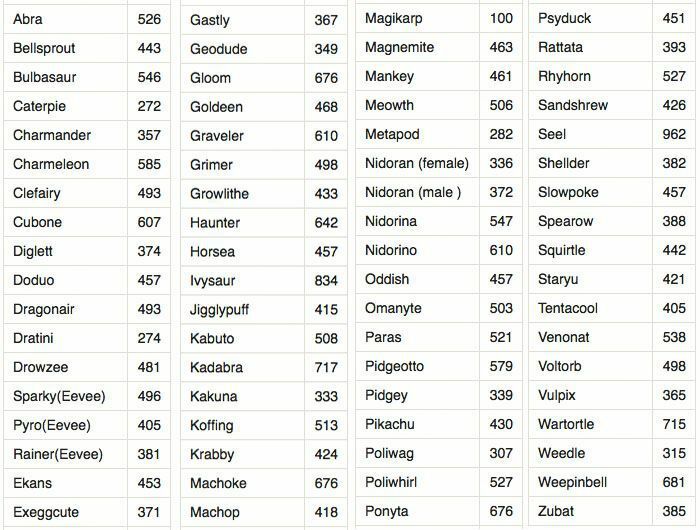 All of which is a long-winded way of saying that while the 1,000 CP evolution chart above seems fairly accurate, it won't be completely spot-on because IVs make everything a little more complicated. 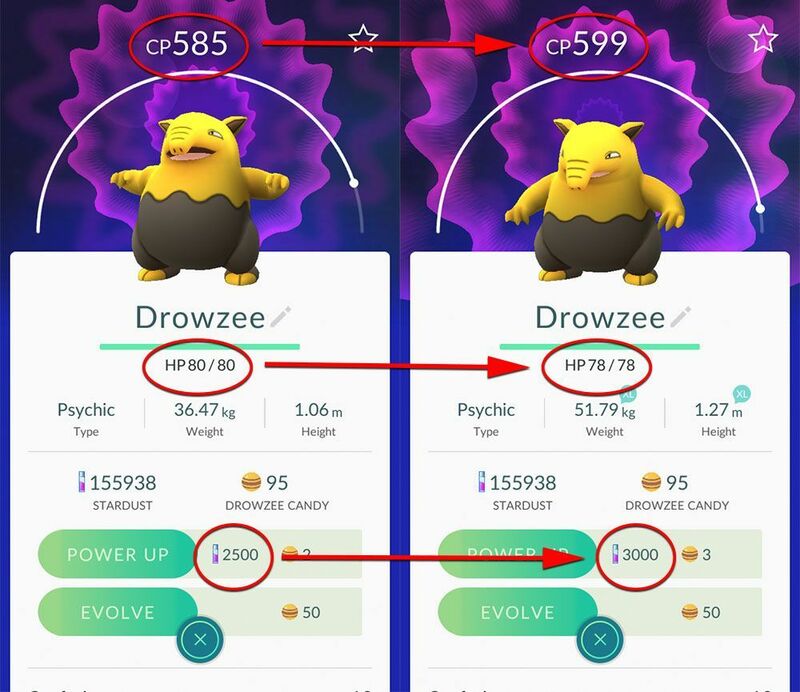 If we only had enough candy to evolve one of the Drowzees above, it might initially seem like the one on the right is the best option (it's got the higher CP of the two, after all). But after running them both through the IV calculator and finding out that the left one likely has better Attack, Defence and Stamina statistics, it changes the picture slightly. Ultimately, the dream Pokémon to evolve would have a super high CP and the best IV stats (15 for each of the three categories) — that Pokémon might not be easy to find, though.